I.F.F. n°446. Very good impression on strong wove paper printed in colors. Some light handling creases. Wide margins. 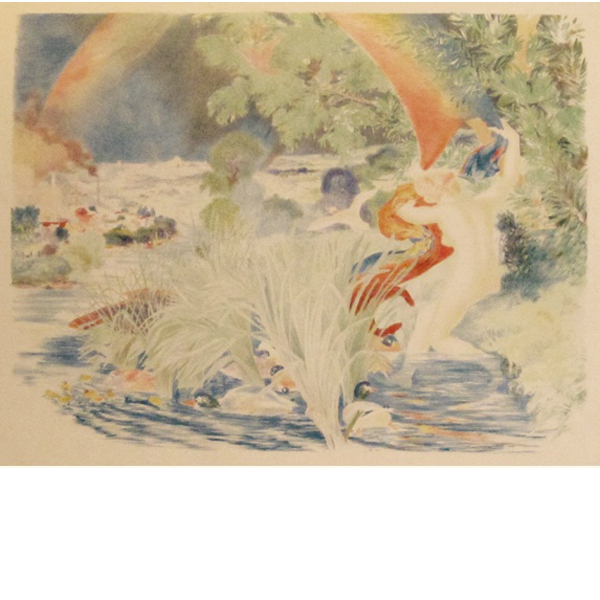 The woman bathing, among reeds and ducks, waves a scarf at the foot of a rainbow. In the background, factory smoke, Paris and its monuments. 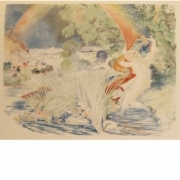 L’Arc-en-ciel has been published in March 1897 by Edmond Sagot.